As the seasons change and another year winds down, we look ahead to consider some of the key eCommerce technology trends that will impact online shopping. The internet retail market will continue to be impacted by new technology, new consumer demands, and the persistent shift from desktop to mobile devices. Whether you’re just starting your online business or have been around for years, make sure you know the five key eCommerce technology trends that will continue to impact the digital retail industry for the foreseeable future. Mobile isn’t the future—it’s now. In the US alone, 125 million consumers own and use smartphones. On top of that, 62% of smartphone users have made an online purchase using their mobile device within the last 6 months. That translates to over 75 million shoppers using their mobile devices to make a purchase. While desktop still beats mobile devices as the primary method consumers use to make eCommerce purchases, that won’t last long. eCommerce global trends indicate that mobile devices will become the central piece of technology used to discover, research, and purchase goods and services. As such, mobile users should be at the forefront of your considerations. Mobile optimization directly impacts your online store’s ability to rank in Google, with mobile device friendliness now being a big factor in their ranking algorithm. Ask any eCommerce SEO expert and they’ll agree – mobile is not the future, it’s the now. What’s more, clients expect your site to be mobile optimized. In fact, 40% of mobile users will seek out a competitor after a bad mobile experience. Mobile optimization has been a growing trend for the past few years, 2018 is when mobile becomes solidified as the standard. While mobile optimization will be a prime concern for eCommerce businesses going forward, that alone isn’t enough anymore. 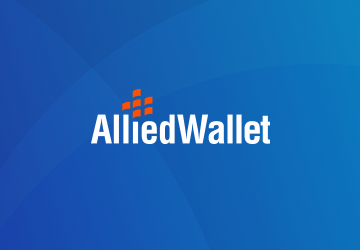 You need integrated mobile wallet functionality. Additionally, you should consider launching a mobile app. An encompassing mobile platform is one of the key eCommerce technology trends in 2018. Because so many consumers shop online, they understand the benefits and added security of using a mobile wallet. That means your mobile customers expect to use a mobile wallet to finalize a purchase. Adding mobile wallet functionality can help you increase sales and boost your conversion rate. App shopping is more convenient for consumers and provides a more immersive environment for you to market with. Think of your website like a pop-up shop and your app like a department store. Visitors to your site are less likely to shop around. Because apps are more immersive, users tend to spend more time browsing. That means more opportunities for marketing, sales, and conversions. Subscription services aren’t new. In fact, online subscription services have already impacted the eCommerce industry, just think of Amazon Prime and Netflix. Next year’s eCommerce technology trends indicate that personalized subscription services will emerge as a powerhouse in 2018. From fashion to entertainment, personal grooming, and even homemade meals—subscription services are becoming a common aspect of the digital retail industry. That’s because they fulfill two related retail needs for both consumers and providers. First, subscription services create a relatively stable revenue stream for companies that provide it. Subscription providers are better able to forecast costs, revenue, and profits. Additionally, the steady nature of the service provides solid analytics that help shape future offerings. Second, it fulfills a need for consumers. Clients of subscription services no longer need to shop for certain products and services. Subscriptions take the forethought out of many banal, everyday purchases, eliminating time consuming and costly trips to a store. 2018 and beyond will see product customization grow from recommended items and remarketing ads to truly personalized offerings. Product customisation is also an important component of the previous trend; subscription based services. Product customisation will emerge as one of the leading eCommerce technology trends next year. That’s because it’s easy for consumers to use, eliminates the hassles of shopping, and meets the demanding needs of modern clients. Automation is also changing the way products and services are customized. For example, Spotify provides a weekly recommended playlist based on the songs, artists, and other playlists with which users interact and listen to. Every time a client uses the service, the product becomes more customized to that user. The same process is being used by many different businesses across the web. From clothing choices to entertainment, furniture, even in our possible romantic relationships, product customisation is more than a trend, it’s the shape of the web to come. One of the biggest eCommerce global trends in 2018 will be product visualization. Product visualization has changed dramatically over the past few years. Evolving from small, hard to view images to multiple images from different perspectives, the ability to zoom, customer uploaded images, etc. Even with these changes, recent technological advances in 3D, augmented reality, and virtual reality are poised to change the way products are visualized. One of the biggest drawbacks to online shopping is lack of tactile information. In other words, it can be hard to imagine how a product will look in your home or office, or what an outfit will look like in a home mirror, or even what it feels like to be inside a hotel room. The future of product visualization is attempting to bridge that gap. Augmented reality, a technology that superimposes digital images on a user’s view of the real world through their mobile device, is changing the way consumers can imagine products before they buy. Virtual reality, where users “enter” an immersive virtual world with a VR headset and compatible 360 video, allows clients to virtually experience a product before the make a purchase. These eCommerce technology trends will impact the way consumers make decisions about products and services. Product visualization will become a bigger part of the digital retail environment in 2018. Exciting things are coming in the near future for the eCommerce industry. Mobile platforms are the future of eCommerce and are more important than ever. Subscription services look to gain a larger percentage of the digital market. The way products are marketed and showcased is about to take a major leap forward. Ensure your eCommerce site is ready for the new year by adapting these trends into your business plan. If you’re interested in integrating some of the most innovative and leading merchant services and payment processing solutions into your eCommerce strategy for the next year, contact us today.